Monsoon Spice | Unveil the Magic of Spices...: Dahiwale Baingan: Less is More! Some times all we need is little things that make your day… Just small things that makes us happy and content! After cooking and eating Vangi Bhath and Palya to my heart’s desire, I was left with three more Chinese Eggplants. One quick look into my bookmarks and I knew instantly what I wanted to try next. It was Dahiwale Baingan from Saffron Hut and I didn’t waste any time in creating this wonderful recipe. I followed her recipe to T except I used a combination of fresh cream and yogurt in place of sour cream. The end result was something that is hard to put into words! I have never thought simple recipe like this would turn into one of the best tasting eggplant dishes and trust me when I say I have tasted quite many recipes made using the king of vegetables. Thanks to Saffron Hut for making me believe once again that less is definitely more and tastier! Dahiwale Baingan is a simple dish of pan fried eggplants that had been marinated with ginger-garlic paste and salt and then mixed with sour and spicy yogurt gravy. Nothing fancy about it except it can give tight competition to any recipe that uses exotic and exclusive ingredients. Don’t you believe me? Then may be it’s time you tried this Dahiwale Baingan for your self and please let me know how you liked it. Rub little salt and ginger-garlic paste to cut eggplant paste. Make sure that you mix them well. 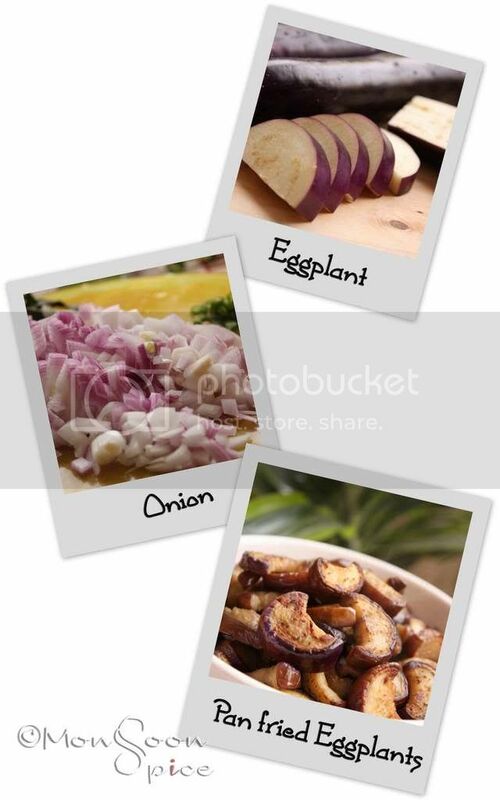 Place these eggplant pieces in a colander for 1-1½ hours to marinate. Make sure that you place it near sink as the liquid generated from salted eggplants will drain away. You can also place a bowl filled with water on top (that fits within the colander) which helps in draining more bitter juice from eggplants. Once the juice is drain out, the eggplants fried up very well. Pan fry these marinated eggplants in little oil, on medium to high heat, till they turn brown and crisp. It’s best to fry them in small batches so that you get evenly fried eggplants. Place them in a plate lined with kitchen towel till needed. Heat oil in a pan and add mustard seeds to it. When mustard starts to pop and splutter, add cumin seeds, curry leaves and hing. Saute till cumin turns golden red. Mix in finely chopped onion and green chillies and sauté till onion turns translucent, about 3-4 minutes. Add turmeric powder and sauté the onions for another 2 minutes. Mix in fresh cream and yogurt and reduce the heat to low. Keep stirring the cream and yogurt for another 3-4 minutes and bring it to gentle boil. Switch off the flame and mix in pan fried eggplants and serve this delicious Dahiwale Baingan immediately, garnished with finely chopped coriander leaves, along with chapattis or Roties and enjoy. It is important to marinate the eggplants for at least one hour before you pan fry. It not only helps in draining the bitter juice from eggplants, it also helps in frying them quickly and evenly. Next time I might bake the marinated eggplants than pan frying. To do this, simply line the baking sheet with aluminium foil or parchment paper and spray little oil on top of it. 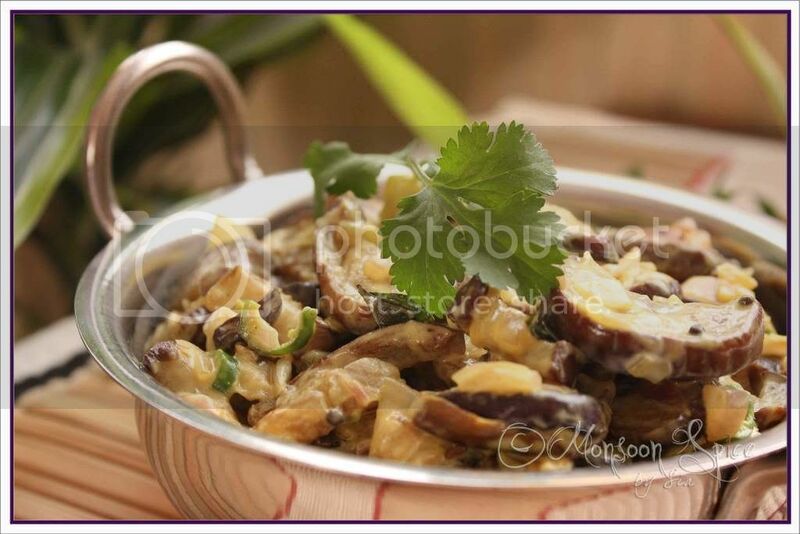 Arrange eggplant slices in single layer and bake them till they are nicely browned. Use pan fried Okra/Bhindi/Ladie’s Fingers in place of eggplants and follow the recipe for Dahiwale Bhindi. Dahiwale Baingan looks beautiful. I also loved Saffron Hut recipes and her photos a lot. Like yours. Sia, thanks for sharing the recipe. I tasted baingan raita or dahiwale baingan at an acquaintance who had invited me for dinner. It was delicious. Since then I wanted to experiment with it and I wished I had asked her for the recipe. And now, i have your recipe to try it out. Love reading your posts. & sometimes simple is the best! Lovely recipe & great pics as usual. Eggplant in any form impresses me very much. That too your baingan makes me drooling. yummy. I make this with milk...Nice pics..Looking yum.. I totally agree with you, sometimes less is more fun. I have never had this dish looks so good. Looks good, I make perugu pachadi (yogurt chutney) with eggplant. This looks interesting. This recipe is a new to me. Prior to this I knew only 2 ways to make baingan. one stuffed and another with masala. This one is great and will definitely try it out.I really like the marination part. never done it on brinjal. Very new recipe of brinjal and yogurt. I like trying new recipes w/t eggplant, i'll save this one. Most of the time, we forgot the simple pleasure around us! 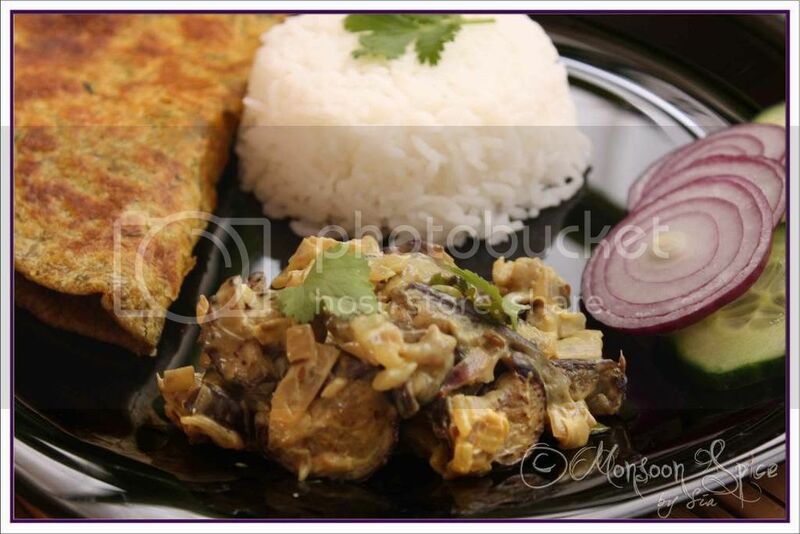 The creamy brinjal is to try for! Wow.. u make me drool! Lovely pictures! Wish i could have that plate for my lunch! amazing pictures Sia. i have never tried dhahiwale baingan. but tasted at a friend's place and it was great.. when i decide to try this, i will keep your recipe in mind. Looks amazing...I'll try making this today. All of your recipes turn out wonderful. I have Saffron Hut's Dahiwale Baingan bookmarked for years now. But my DH is allergic to dahi and I have been postponing this dish for the longest. Dish looks delicious and will try it for myself soon. I miss SH's blog, she's AWOL for a while now. Have a wonderful weekend. this method of preparing them is new to me (marination and then frying); your thali looks great, that's a nice feast! beautiful explanation on 'Less is more'very philosophical....I agree with you! Recipe sounds simple. But I am sure it tasted great. As u said baking the egg plants would be a better option. OMG! !What a fabulous recipe!This is simply superb..Like you,saffron hut is also a culinary genius..
you are right, simple pleasures have so much to offer in life.. Dahiwale Baingan looks gorgeous! I am a regular reader of your blog and like the way the blog as been coming through. I enjoy reading them and also have tried few recipies. They have come out great! Thanks! Recently, I tried clicking on Bachelor Friendly recipes on the right hand side. The option to click on Bachelor Friendly recipes doesn't seem to respond. Any other way to get to that screen? Wow! 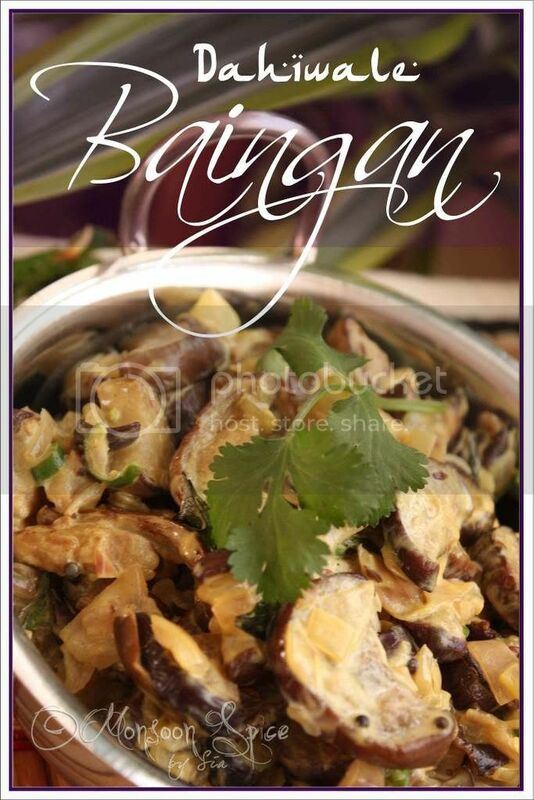 dahi wale baigan looks yum & colourful... Lovely recipe & great pics Sia:)Love it! Sia pls collect ur award from my blog. Beutiful pics Sia and sounds like a nice and simple dish. I love baingans and keep looking for new ways to make it...thanks for this recipe and you have a great blog ! 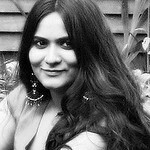 Its such a delight to read and look at your blog..
can you please tell me how i can name my photos the way you have. it looks great... i tasted brinjal at my friend's house but i believe it appears to be different. i would love to try it.uphere i always have a hard time to find ingredients, but thanks to my friend who introduced me to a great resource. I tried out ypur recipe of Dahi Baigan and it turned out awesome! !